Some people may believe there are no streets inside a home. They would be wrong. We kitties have what's known as a Cat Superhighway. Actually we have two. The second one was installed in the guest bedroom and is a series of shelves we love to traverse. 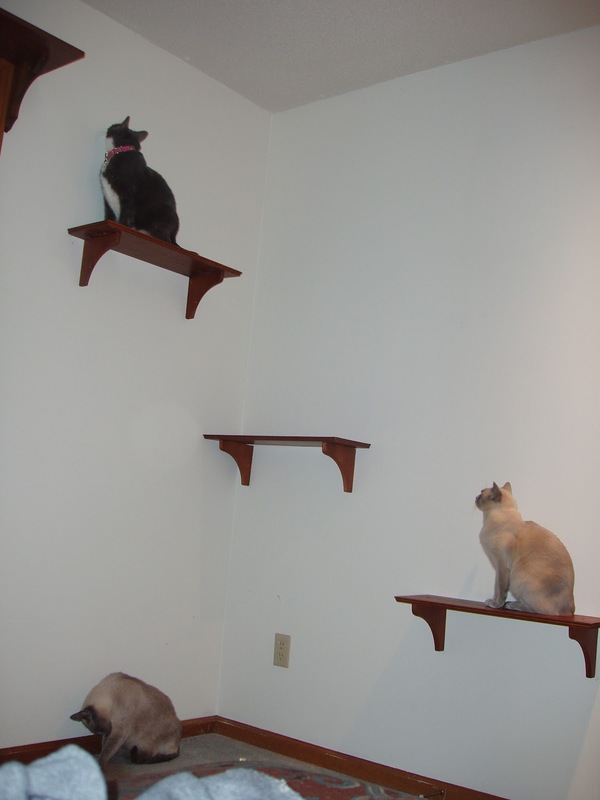 Cats are built to live on three planes, not just two. 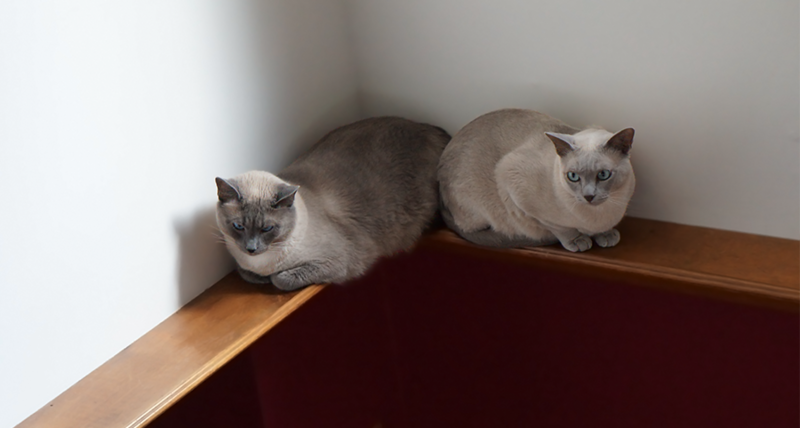 So when you think of places for your cat, think height as well as length and depth! You all have some very cool Cat Superhighways! Love the shelves! Love the cat superhighway and we chuckled at the pic with the shelves. Fly high kitties we say. Have a super Saturday. Zoooommmmies>>>>>>>>>>>>>>>>>> So let me guess, when yoor hooomans have guests yoo 3 perch on da shelves like statues until da guests go to sleep then yoo take turns tummy bouncing right? MOL Happy Caturday everybuddy. Must show your cat highways to my dad-person ! You all have some way way fun spots as observations towers and spy spots! Lucky you are! Wow, those are both GREAT streets! Those are really neat! Wish mom could build us some! I really need to do that, but I'm kind of fearful that several kitties will try to get on it at once and there will either be fisticuffs, or the shelves will fall to the ground..